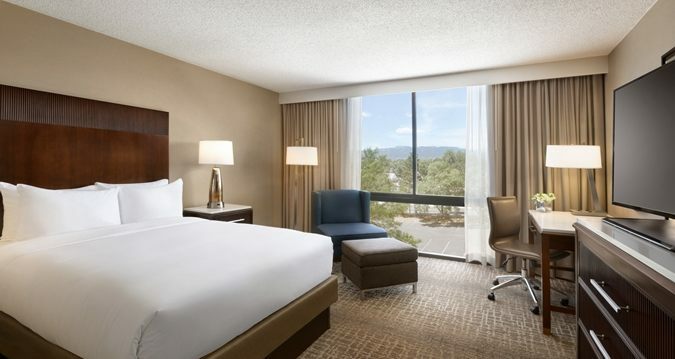 The Hilton in Fort Collins, CO enthusiastically welcomes all Midnight Ball attendees to stay with us at a DISCOUNT RATE. We have a block of rooms reserved for all ticket holders. Once you purchase your Midnight Ball tickets online, we will send you an email confirmation with a link to our private booking site for party attendees. 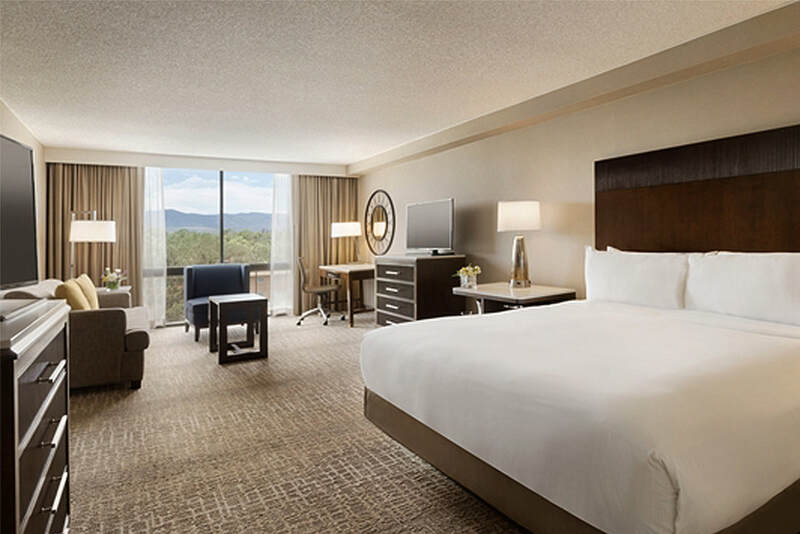 Deluxe Mountain View: This room features beautiful views of the Rocky Mountains and the Serenity Dreams bed, complete with 250-thread count sheets and a queen size sleeper sofa. King Bed Rooms: Available with and without a queen size sofa bed. Enjoy first class appointments such as the Serenity Dreams bed, ergonomic chairs, and much more. Double Bed Rooms: One of our most popular options, enjoy two Serenity Dreams full size beds with 250-thread count sheets. All rooms include LCD TVs, hairdryer, coffeemaker, alarm clock, iron/ironing board, full-length mirror and WiFi. - You don't have to work the next day, so stay and play in Northern Colorado!